Our custom air-brushed layered royal blue marbling technique sits on top of a jet black under-base and creates a striking contrast that runs throughout the entire paint design. A ghosted Harley-Davidson logo, with the marbling running through it, sits on each side of the custom JE Illusions airbox cover. A broader ghosted pin stripe blade design follows the entire curves of the airbox cover and fenders. 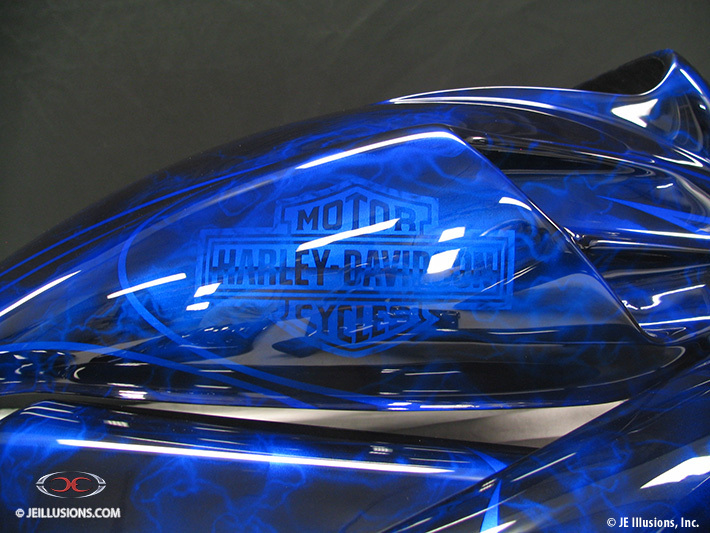 This design is sure to make other bikers blue with envy!